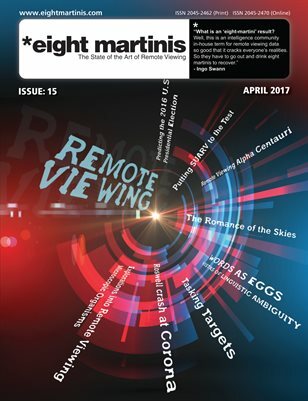 A compilation of interesting remote viewing news from the past week and related news stories. I just scheduled four remote viewing target discussions for Jan / Feb 2013. These discussions are open to the public – all viewers, all schools are welcome. Anyone who just wants to come and listen to us go over our homework, you are welcome too. 2012-Remote Viewing Program, Secret Hidden From Viewers. WebBot Global Coastal Event and Remote Viewing show same thing. Galactic Superwave Possible in Coming Months. Psychic Skills & Miracles – technology used for telepathy and remote viewing. In 2012 the Amelia Earhart mystery turns 75, the Titanic Disaster turns 100, and the biggest mystery in the Civil War turns 150 years old. Finally, these mysteries give up their secrets through the use of the only man in History to be decorated by a Military for making, “Key Contributions” to the U.S. Armed Forces. This medal was bestowed to Joseph McMoneagle for consistent accuracy in what the military calls Remote Viewing. What the street calls psychic functioning, and what scientists refer to as anomalous cognition. Joseph McMoneagle, the recipient of this medal has worked with our guest SJ Seeds and his organization, The Logistics News Network to create The Evidential Details History Series. Join us on IF Radio to learn more about these secrets and how they just may have been solved!